Lama Sheftak (When I Saw You), this year’s opening film at the Arab Film Festival, is an engaging and nostalgic film that is anchored by an endearing message and a steady vision. 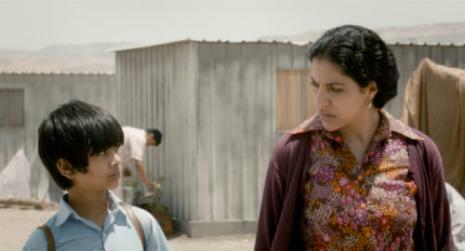 Set in a Jordanian refugee camp after the 1967 war, Lama Sheftak focuses on 11-year-old Tareq and his mother Ghaydaa. Tareq, who was separated from his father and his home, struggles with life in a refugee camp and soon decides to join a nearby resistance force training. 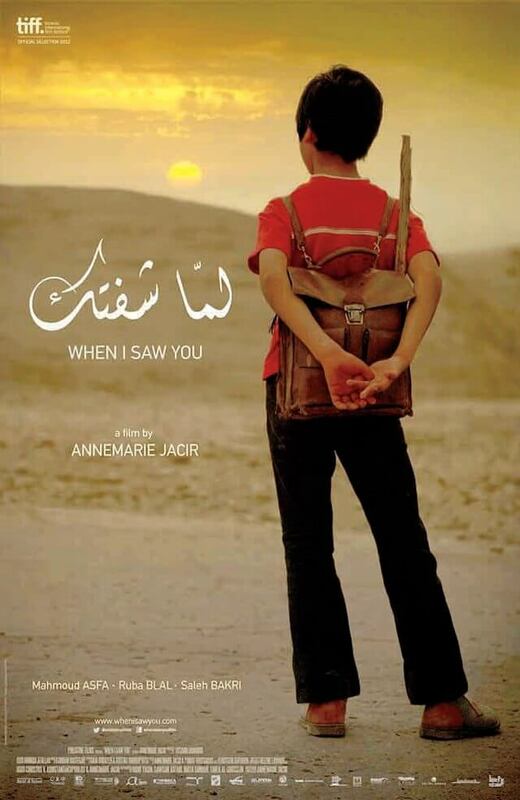 Directed by Annemarie Jacir, the film quickly establishes its tone as a combination of childhood-inspired awe and the hard truths of reality. Through the relationship between Tareq and his mother, Jacir juxtaposes the free sprit and idealistic fervour of a child to the inner turmoil of a parent forced to make difficult decisions. The film also constantly uses duality; whether in imagery or in storytelling, there is a very conscious attempt to provide two perspectives on the world in which Tareq and his mother live. Ghaydaa acts as something of an anchor in the way she punctures Tarek’s dreams of returning to his father and fighting for his home. Her presence in scenes is a key to the carefully constructed metaphor within the film that forms a key part of its message: there is always a balance between the bleak and the optimistic. Her struggles with Tareq are presented as a metaphor to one’s own inner struggle to contain idealism and nostalgia and return to a world that is both real and bleak. This film is very visual, with many a shot being held for probably too long for the obvious effect of emphasising what is being shown. The film is littered with amusing and touching visual metaphors, though, and can be arresting in its imagery. Unfortunately, the film fails to strike that key balance between a meditation on key themes and maintaining a connection with the audience. It is admirable in the way it faces the challenging feat of attempting to present an artistic reflection on the Palestinian struggle for their right of return, but the film style can, too often, be a burden on its message. In essence, this is a film about nostalgia, constantly referencing returning to something, whether people physically returning to their lands or emotionally returning to a certain time. 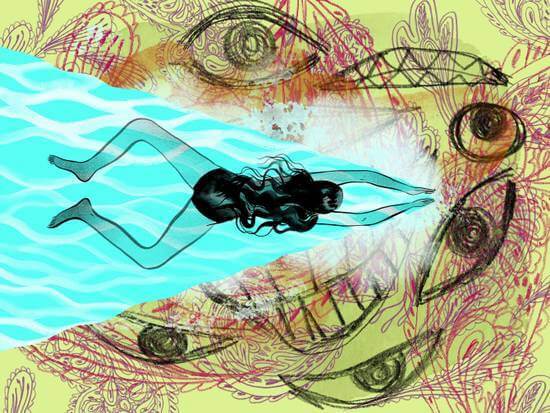 Nonetheless, at times, the nostalgia can be a little overwhelming. The rose-tinted glasses it places on the time and the place proves to be an irritating experience over time, with too much emphasis placed on the purity of the character’s intentions and methods. Whether or not this technique is a thinly veiled criticism of the current state of the Palestinian resistance can, at times, detract from the key factor in any low-key film such as this one; the characters and the atmosphere. Jacir skilfully develops a sense of the time and the place without being too ham-fisted in her attempts. That isn’t to say that it isn’t completely cringe worthy, with some scenes being a little too forced compared to the overall subtler approach taken. Nevertheless, the film often avoids shirking its responsibility of delving into the subject matter it presents. The film aches with pain and a constant sense of loss. Tareq’s insistence on leaving at any one time, and his repeated claims of being “choked” is a powerful reminder of a people struggling between worlds; a home to which they cannot return and an outside world that rejects them. A very visual film at heart, Lama Sheftak revels in its more intimate moments with its variety of characters, but fails to enliven proceedings with any sense of drama or tension. A sense of humour lends itself favourably to this continuing juxtaposition. Sarcasm and dry wit litter the film and give the characters a chance to breathe in what could have been stifling roles. The humour also helps add to the steadiness of the film and its devotion to providing a platform for characterisation over the mere presentation of a miserable situation. This isn’t a film about the terrible living conditions of the Palestinian refugees, nor on the way the “feyda’een” (martyrs) prepared for battle. Rather, it is a reflection on the kinds of people and characters that can emerge from such a conflict. With its final shot, though, the film reveals what is truly at its heart. Palestine is at the core of everything, the home Tareq so often refers to and the beating heart of this film. It’s the pulsating feeling you get when you first see its rolling hills and the sense of optimism that emboldens its characters. I can’t say that I didn’t enjoy this film. The characters were engaging, the acting routinely brilliant and the imagery quite stunning at times. The name itself evokes a sense of nostalgia that, although irritating and blunt at times, quickly becomes endearing and personal. A must-see for those who dream of another time, another place. Lama Sheftak is screening at the Arab Film Festival in Sydney, August 14, 2014 at 8.00 pm; Melbourne, August 23, 2014 at 6.30 pm; Canberra, August 30, 2014 at 5.30 pm. Visit the website for more details.